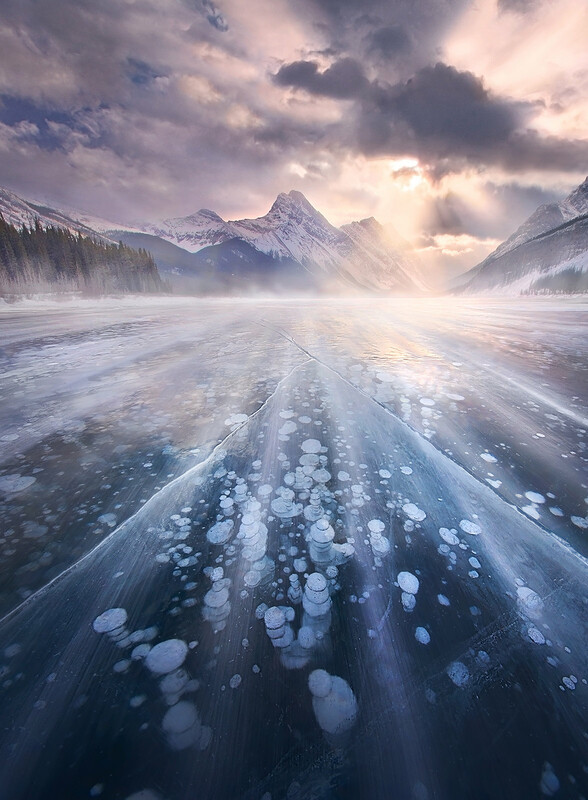 Ice 'bubble' formations are found in many lakes when conditions permit snow to be blown free from the surface in winter. Here, the translucence of the ice allows the viewer to see these formations along with the snow itself sweeping along the surface in high winds. Dramatic light compliments the background of high peaks in the Canadian Rockies.